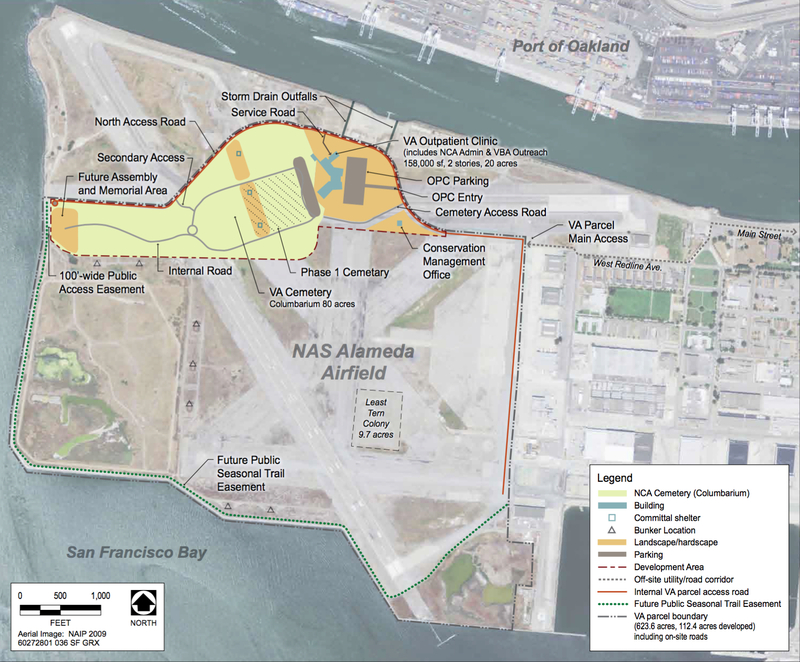 “This subdistrict at the southeast corner of Alameda Point is located within walking distance of planned transit services at Seaplane Lagoon,” said Norman La Force, Legal Chair for the San Francisco Bay Chapter. 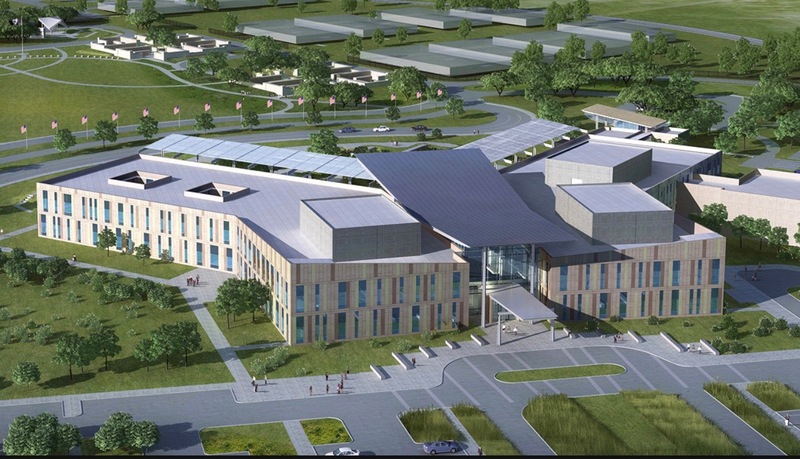 “The shorter travel distance for veterans and employees and availability of regular bus and ferry services will reduce greenhouse gas emissions.” The VA medical clinic and benefits offices will have 250 employees and handle over 500 patient visits per day. The transit rich alternative location. The EIR will include a detailed analysis of the potential transportation impacts and feasible mitigations to minimize impacts to automobile, transit, bicycle, and pedestrian travel. 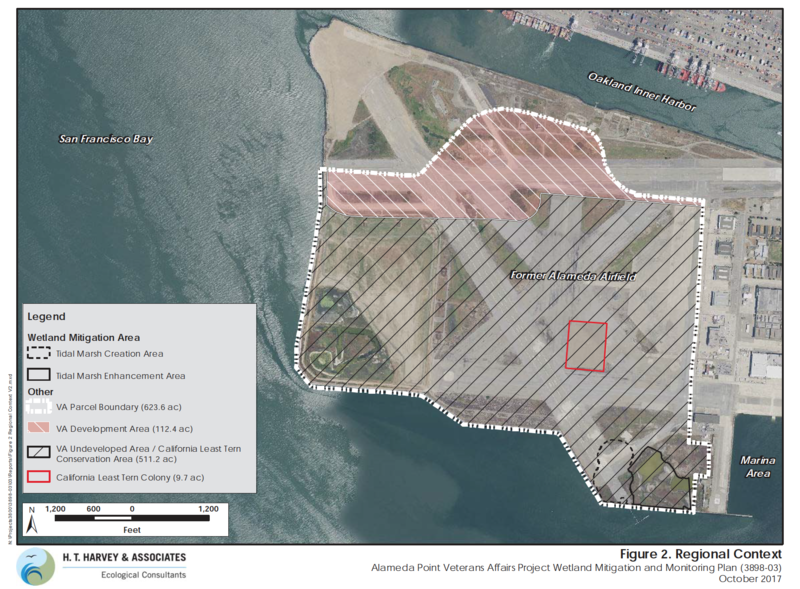 It will also evaluate the VA’s plans for expanding and enhancing wetlands on its property and the impacts, if any, on the city’s plans for an adjacent wetland park called De-Pave Park. The VA is now ready to seek certification for its wetland mitigation plan. The VA’s project will impact 10 acres of existing wetlands. However, the VA plans on replacing only seven of those acres on its property. It is proposing instead to purchase credits in a wetland mitigation bank for an already-completed restoration project in Redwood City for the remaining three acres. Dotted line at bottom right indicates area where VA proposes adding seven acres of wetland. There is room for three more acres, so that 100 percent of impacts are mitigated on site without buying credits in a wetland mitigation bank. 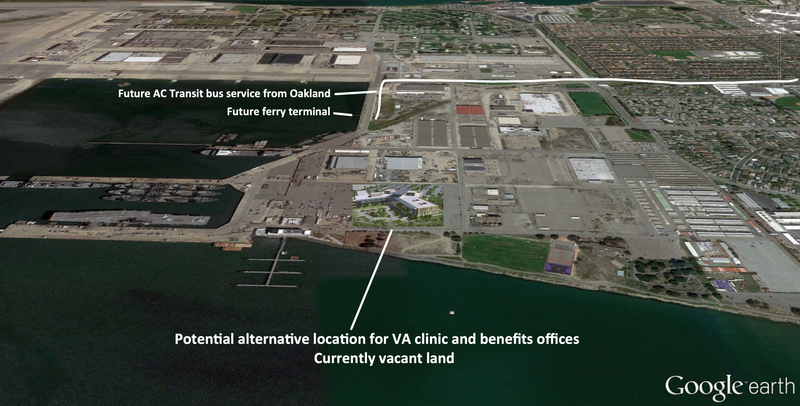 Another reason to locate the clinic in the Enterprise District – sea level rise. 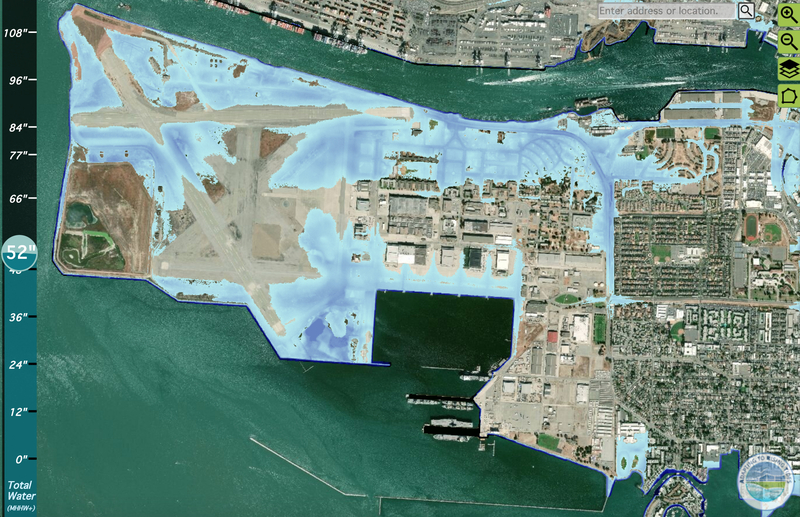 The Enterprise District is at higher elevation, requiring less geotechnical work to prepare the site, as illustrated with this sea level rise map projecting 52 inches of sea level rise. Adapting to Rising Tides sea level rise explorer tool, with 52 inches entered.